Most veterans move into their homes with nothing. Elks can help veterans establish their homes by building Welcome Home Kits. 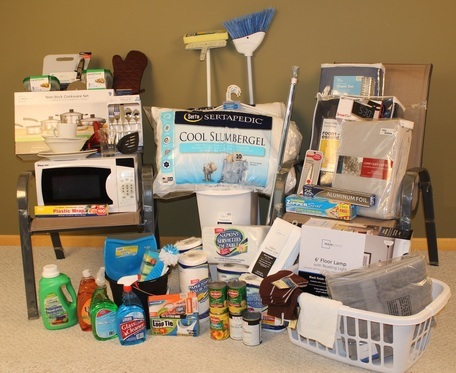 Generally, this kit would include some small furniture, kitchenware, and cleaning supplies. Items can be new or used, donated or purchased. The ENVSC has funds available to help with this. You can either find the veteran through your local VA resource or once your Lodge submits this form to the Grand Lodge, Grand Lodge will match your Lodge with a veteran moving into a new home. The Hopkins Lodge has piloted a version of the program in their community. Below are some sample templates they've been using to manage the program.